The holiday shopping season has arrived faster than we could have asked for it to come. Don’t make holiday shopping stressful by waiting until the last minute. Plan ahead and get that gift list checked off now. 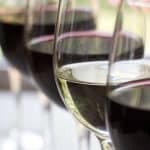 We have gathered some helpful gift ideas for the kitchen to make your gift shopping a breeze. It’s hard to go wrong with kitchen related gifts. Even people that don’t cook have to eat and every house has a kitchen. 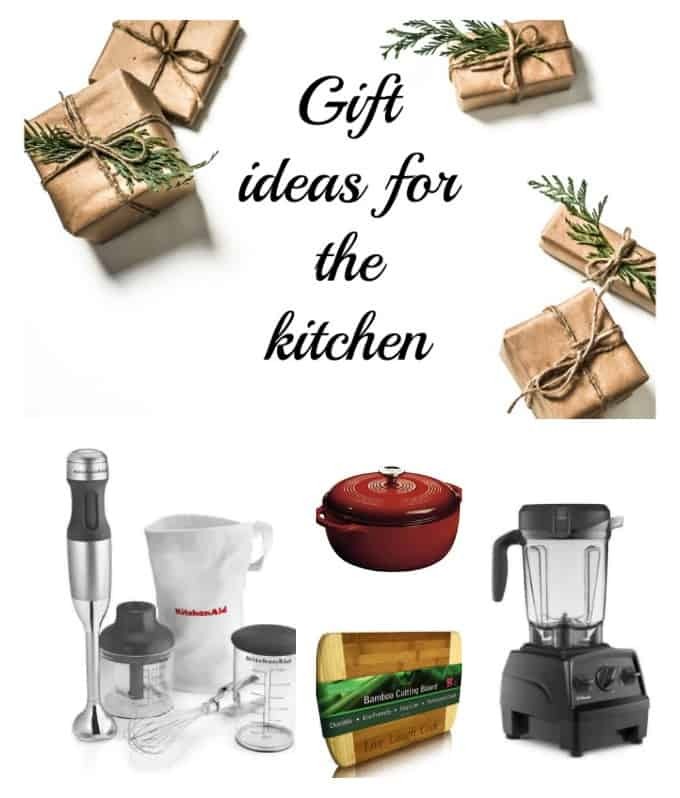 These gift ideas for the kitchen are sure to please anyone on your list. 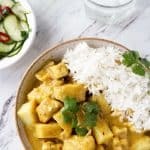 Are you wondering what all the craze is about an Instant Pot? 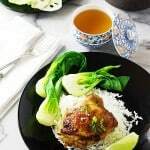 An Instant Pot isn’t just an electric pressure cooker, it is several kitchen appliances in one little package. 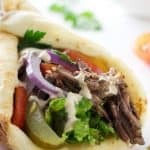 This amazing appliance can also be used as a slow cooker, rice cooker, steamer, yogurt maker, sauté pan, and a warmer. 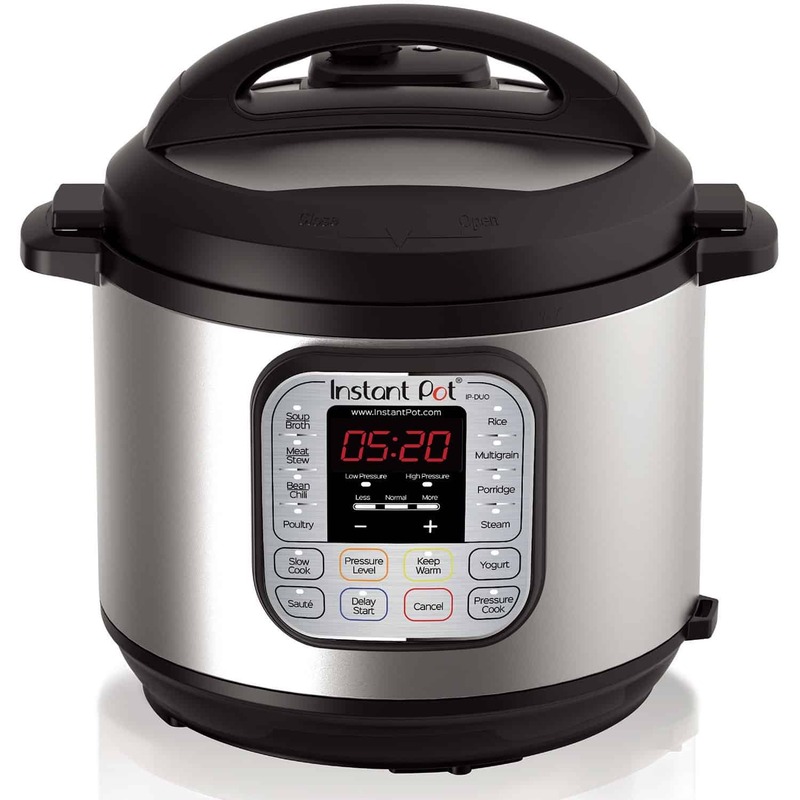 Minimize your appliances, save money and free up counter space by buying this Instant Pot. A cast iron skillet has got to be the most versatile skillet in any kitchen. 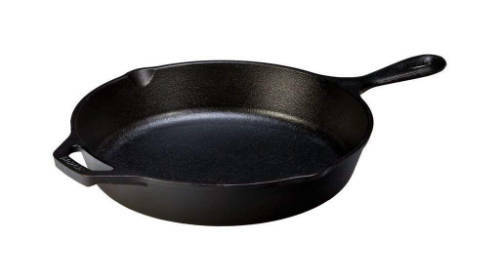 From the cooktop to the oven to the barbecue grill or even over a campfire, this skillet can take the heat and the abuse. 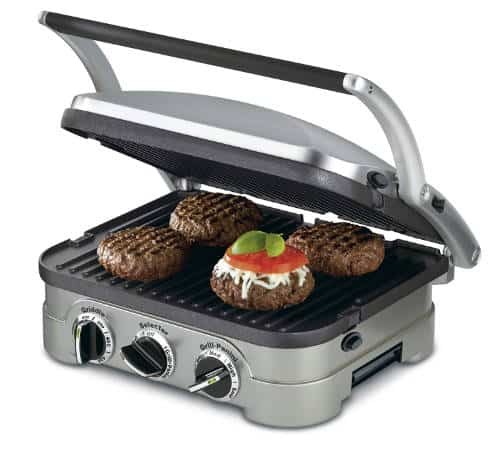 It is indestructible, naturally non-stick and incredibly economical. If you buy just one, we recommend a 10-inch skillet but if you want to make a great kitchen investment, purchase a whole set of cast iron cookware. 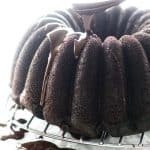 Gift ideas for the kitchen don’t have to come with a big price. 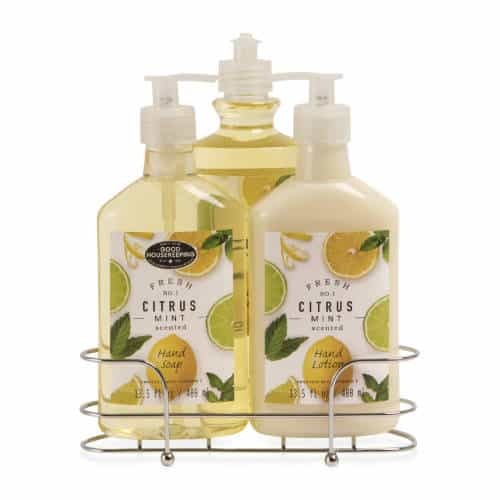 This trio of soap and lotion comes in a handy little caddy and makes a pretty display on the counter. 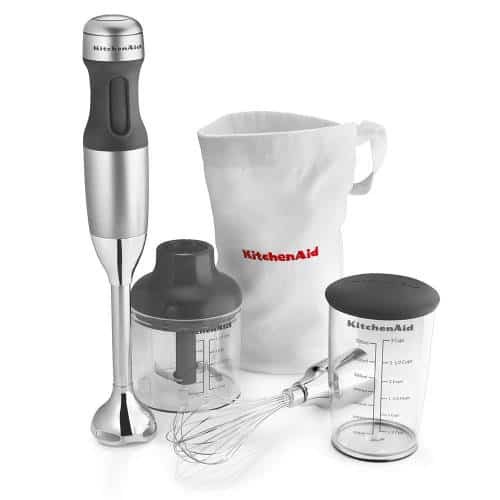 We love our immersion blender and there is no doubt that it will make a great gift idea for someone on your list. It is a light-weight hand-held, multi-tasker that will save you time and cleaning. One of our favorite things to do with an immersion blender is to use it for pureeing things like this creamy roasted tomato basil soup. But it’s not just good for pureeing soup. You can make aioli sauce, smoothies, salsa, whipped cream, or even apple butter. It’s a good thing. 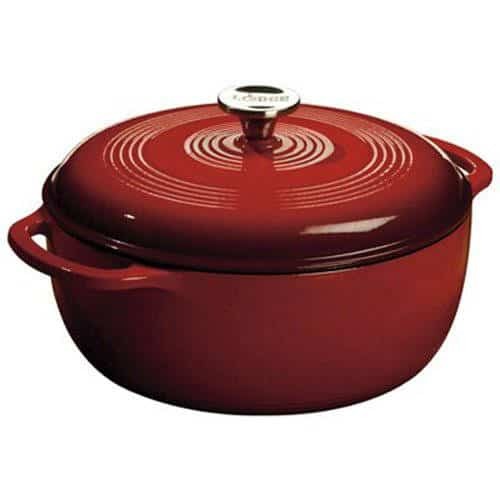 A Dutch oven really should be in every kitchen. I’m telling you, all kinds of magic has happened in our Dutch oven. From a crusty sourdough bread to savory red wine braised beef short ribs, a Dutch oven will perform well every time. A great cutting board will protect your countertops and help prevent your knives from going dull as fast. 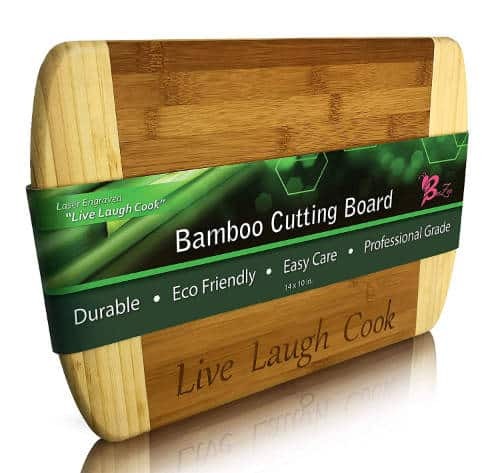 We have been ogling this beautiful two-toned bamboo cutting board with a lovely inspirational engraving. For under $20, you might want to grab a couple of these. A mandoline will create incredibly thin and perfectly uniform slices of fruits and veggies. From paper-thin slices of potatoes to Julienne slivers of carrots, it will be perfect every time. 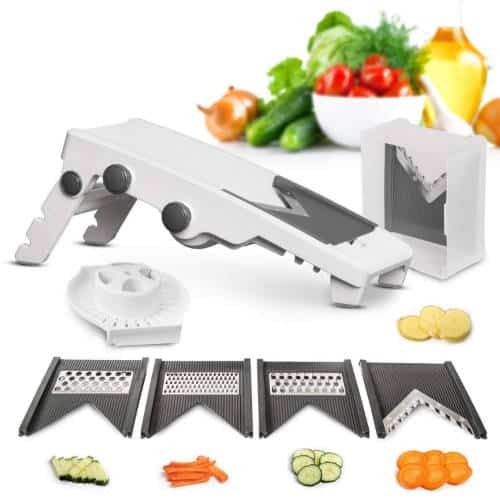 Most Mandoline slicers come with a guard to protect fingers from being sliced with the vegetables but for extra protection, we recommend these cut resistant gloves. Package them up with the Mandoline and show someone you really care. I have to admit, when we first bought our Vitamix, I had doubts that it was really worth the price tag. My doubts were proven wrong, I just love how much mileage I get out of an extra powerful blender. It may not be an absolute necessity, but it sure can make some creamy smoothies. 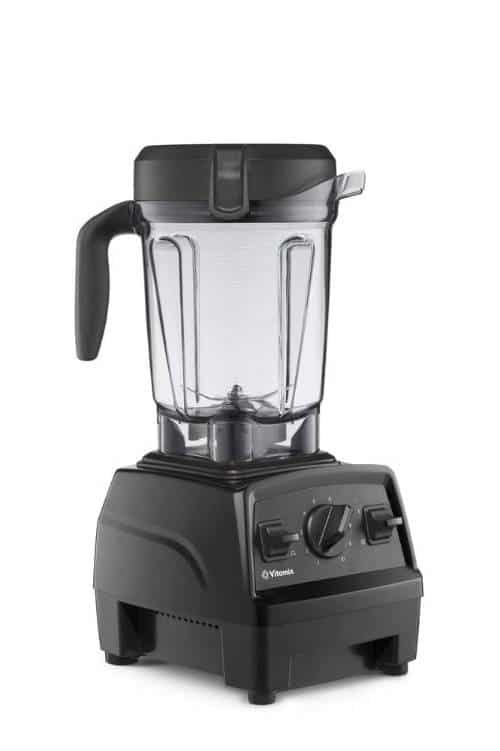 If you know someone that wants an extremely powerful blender that will crush anything in its path, this is the blender. Every kitchen needs a rolling pin. This one makes it easy to roll dough out to a precise thickness. With removable discs, you can adjust the rolling pin to give you perfectly even cookies and pie crust. 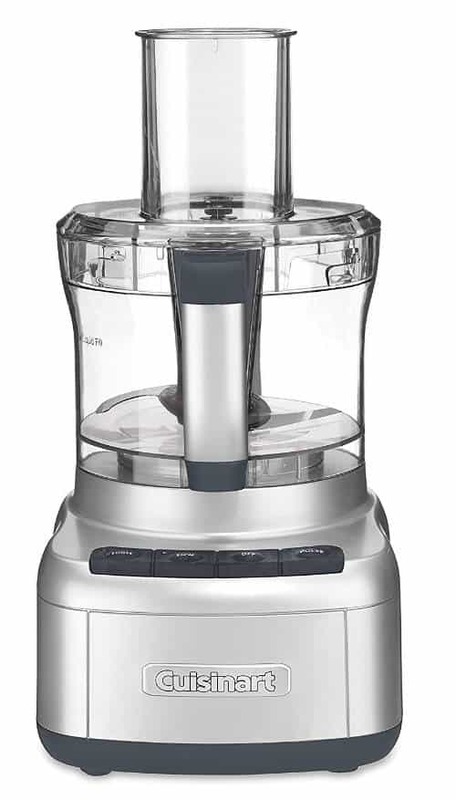 Out of all the gift ideas for the kitchen, a food processor is one of my favorite suggestions. Seriously, if you don’t have one then get one for yourself while you buy one for that special person on your shopping list that doesn’t know what they are missing. Maybe they do know what they are missing and they are waiting for you to get this for them. It does everything and it is amazing. It chops, grinds, purees, blends, grates and does all sorts of wonderful things. 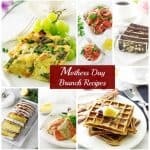 I have tried a few different brands and really love the Cuisinart for its power and durability. If you can spring for a little more $$$ then get the 14-cup Cuisinart. it will cook twice as fast since it is cooking both sides at once. 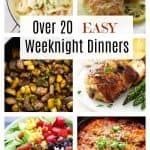 Grill up vegetables in a flash, cook bacon without curling, make crispy hash browns, crunchy quesadillas, or grill a slice of pound cake and then top it with a scoop of ice cream. Mmm good! 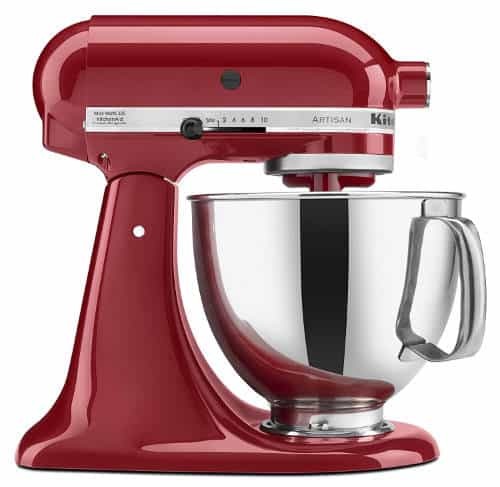 Earlier I mentioned that the food processor was one of my favorite suggestions, but this stand mixer is a close tie. Out of all the small appliances in my kitchen, my KitchenAid stand mixer has the most hours of run time. I can cream butter and sugar for 5 minutes while I’m washing dishes or prepping cake pans. Just let the mixer do its thing while you do your thing. What are your favorite gift ideas for the kitchen? We would love to hear from you. drop us a comment below.